On 1 April 2017 the Victorian Supreme Court amended its general civil procedure rules to allow pro bono legal practitioners to recover costs from their unsuccessful opponents. These amendments, which support and reinforce the Court of Appeal’s decision in Mainieri & Anor v Cirillo  VSCA 227, are good news for those who have long advocated for reform in this area. The Rules amendments, however, leave room for further reform measures. 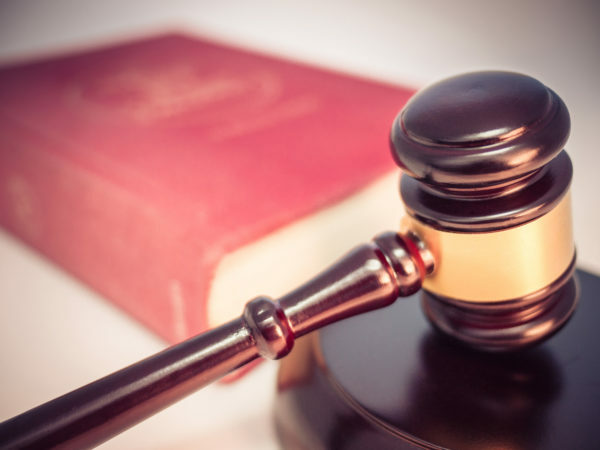 In Australia, at common law the “indemnity principle” is the principle that a costs order compensates the successful party in litigation for the costs that party has incurred in prosecuting that matter. However, the principle operates only in circumstances where that successful party is obliged to pay the lawyer who acted for them. In the context of pro bono matters, the issue is what a successful party is actually obliged to pay given that, technically, no loss (no costs paid) has occurred. Many pro bono costs agreements are worded on a “conditional” basis — that is, payment of a lawyer’s costs is dependent on a successful outcome in the matter. There has been a tension between the indemnity principle and conditional agreements. In the relatively recent Victorian Court of Appeal decision of Mainieri & Anor v Cirillo  47 VR 127 (Mainieri), the Court confirmed that a “conditional costs agreement” does not offend the indemnity principle if the pro bono client is liable to pay their lawyer’s costs only in the event that a costs award is made in their favour. The new Supreme Court (Chapter I Recovery of Pro Bono Costs Amendment) Rules 2017 (Rules) provide further support for this position and ultimately reinforce the Court’s decision in Mainieri, via the Court’s own rules. Care should be taken in drafting a costs agreement on a “conditional” basis. The Rules amend Order 63 of Chapter I of the Supreme Court (General Civil Procedure) Rules to provide for the recovery of costs in cases where legal practitioners are acting pro bono. (1) If a legal practitioner provides legal assistance to an assisted party in a proceeding on a pro bono basis, the Court may make, in favour of the assisted party, any order for the recovery of the costs of the legal assistance that the Court might have made had the legal assistance been provided not on a pro bono basis but on the basis that the assisted party was under an obligation to pay for the legal assistance in the ordinary way. Order 63.34.2 seeks to overcome previous concerns about a conflict between the indemnity principle on the one hand and conditional costs agreements on the other. As most litigators will know, costs are rarely awarded in pro bono matters, and are a matter of broad discretion for the court. But the key issue that the amendment seeks to address is to create a level playing field for all litigants, so that there is no strategic disadvantage in having a pro bono lawyer. The amendment is a great step forward in that regard. Prior to the amendment, in matters where one party was represented pro bono, their opponent had less incentive to take a proper commercial approach to settlement or to act prudently during the litigation, knowing that if an adverse costs order was made against them, their costs exposure would not be the same as that person represented on a pro bono basis. However there are still opportunities for further reform in this area. (c) the legal practitioner is to receive such professional fees only to the extent that payment is made in satisfaction or part satisfaction of such an order for costs. Para (b) of this definition would seem to include a “no win, no fee” arrangement. This is important given the different motivations for legal involvement and the consequences of costs orders in each case. In pro bono matters, the recovered costs are often re-invested in the firm’s pro bono program (e.g. covering counsel’s fees), thereby funding further pro bono work. Alternatively, the costs are donated to the NFP client organisation, a community legal centre or other charity aligned with the pro bono matter. In “no win, no fee” matters, the recovered costs are generally treated as revenue for the firm. Formal recognition of the broader social justice benefits that flow from costs awards to pro bono lawyers would support and strengthen pro bono legal work as a means of enhancing access to justice. The Centre’s policy regarding what form this recognition should take draws on research undertaken for the purpose of a submission to the New South Wales Law Reform Commission’s Inquiry into Security for Costs and Associated Costs Orders. Its policy is that in the Australian context, legislation confirming judicial power to award costs in pro bono matters would be complemented by a self-regulatory protocol under which firms can formally commit to applying costs awarded in pro bono matters to disbursements in pro bono matters, developing their pro bono programs or for charitable purposes. A self-regulatory protocol would formalise what is already an accepted industry practice. Pertinent to these issues is a recent and quite significant decision of the High Court of Singapore in SATS Construction Pte Ltd v Islam Md Ohidul  SGHC 99. In that case, a Bangladeshi foreign worker who had successfully brought an action against his employer, SATS Construction Pte Ltd, was awarded costs, despite his having pro bono representation. A conditional costs agreement was in place and the worker’s lawyer had told the court that any costs awarded would be donated to the Humanitarian Organisation for Migration Economics, a group dedicated to addressing migrant workers’ concerns. There was no windfall for the client in the present appeal, who would not have kept the cost sums ordered. There was no prejudice to the Appellant who would have had to pay costs to the winning party in non-pro bono situations. On the other hand, the legal representation offered pro bono has allowed the impecunious party access to justice that he otherwise would not have had. …[T]he underlying basis of the indemnity principle is the enhancement of access to justice, and the award of costs is a matter in the court’s discretion to achieve the fairest allocation in the particular instance. The case is Singapore’s first reported decision on the award of costs to pro bono litigants. The Victorian Rules amendment is welcomed by pro bono leaders, law firms, public interest organisations and the Australian Pro Bono Centre, who have long lobbied for reform regarding the issue of costs recovery in pro bono matters. The Centre will continue to advocate for legislative reform to clarify the position across Australian jurisdictions. Thanks to Daniel Creasey for his contribution to this article. Daniel is Partner and Head of Pro Bono and Responsible Business at Colin Biggers and Paisley, and also a Director of the Australian Pro Bono Centre.